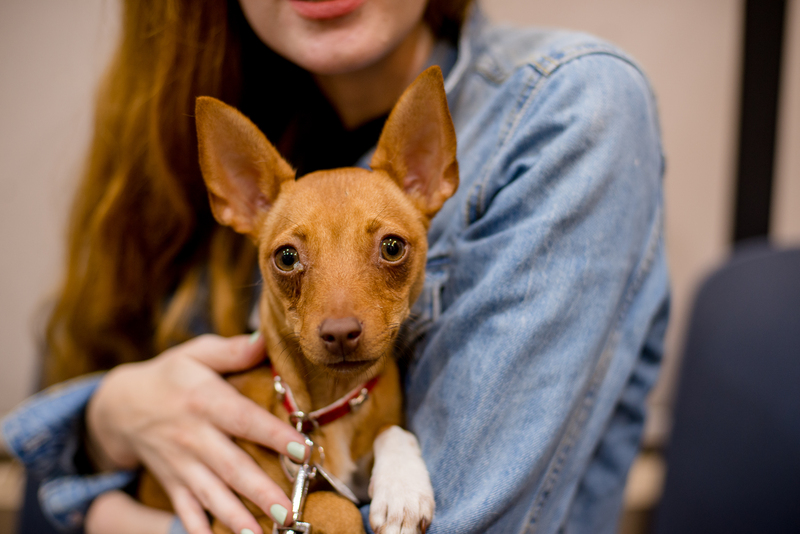 Juniper, otherwise know as Queen Juniper Rosewater aka Juni, is a young red Chihuahua and is 7 lbs of fearless ginger! With gorgeous green eyes and a single white sock, Juniper is an eye-catching dog. She loves people, is very social, and gets along with all dogs and cats (we wouldn’t recommend her to a home with dogs or cats with a prey drive as Juniper is so tiny!). She is an expert snuggler, and will flop herself across your lap.Her favourite thing in the world is bedtime and she crawls under the sheets and lies on top of you or on your feet. She warms up to all people quickly. We don’t know much about her history other than she was a stray, but you’d never known about her difficult past by how loving and welcoming she is. She currently goes to the office during the day, asking for pets and then sleeping in her velvety bed. We are working on her potty training and general manners. She will need to work on her use of stairs, sit, stay and other commands. She is very quiet so far!